Savage Jazz Dance Company (SJDC) was founded in 1992 by Artistic Director Reginald Ray-Savage. SJDC is distinguished by its disciplined dancers and instructors, and its dedication to the exploration of jazz music’s range of expression. The cohesive nature of the organization is reflected in the long-term commitment of its dancers: many began their involvement as students of Savage, later becoming apprentices, and finally earning a position as a company dancer. The spirit of jazz is the foundation for our existence, and the sustenance that keeps SJDC alive. By staying committed to our vision, Savage Jazz Dance Company has created a singular technique, quality, and philosophy that define the Company’s movement style. Driven by the vision of artistic director Reginald Ray-Savage, and realized by the training and physicality of our dancers, SJDC’s movement is defined by three primary beliefs: the importance of disciplined, technical dance training, rooted in classical ballet and modern techniques; the willingness to give into the rich artistic expression of music, in all forms; and ENERGY. We are one of the few all-jazz dance companies performing new works directly inspired by the rich cultural heritage of jazz music. Savage Jazz Dance Company has been called "...the most layered, sophisticated concert jazz dance company in these Western climes" by Dance Magazine. Since its founding, the company has produced more than 100 new works, choreographed by Reginald Ray-Savage and guest choreographers. In addition to their annual home season, SJDC continues to tour the US, conducting residencies and concert performances. Notable engagements include SJDC’s performance at Casa del Jazz in Rome Italy in 2006; it was the first dance company to receive such an invitation, performing to a packed house and rave reviews. SJDC was invited to perform at the Jazz Dance World Congress at NYU Buffalo, and was a resident company in the Lincoln Center Institute’s Aesthetic Education Program in Bay Area schools offered through the Julia Morgan Center for the Arts. The Savage Jazz Dance Company is funded, in part, by a grant from the City of Oakland Cultural Funding Program. 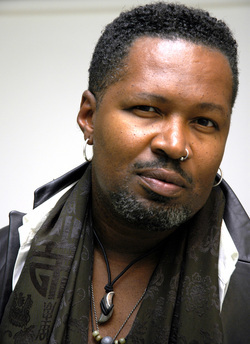 Reginald Ray-Savage, Artistic Director and Founder of the Savage Jazz Dance Company, and Dance Department Chair of Oakland School for the Arts, was born in St. Louis, Missouri. He began dancing at Katherine Dunham's Performing Arts Training Center in East St. Louis. His teachers there, in ballet, tap, jazz and Dunham technique, were outstanding alumni of Miss Dunham's company, including Lenwood Morris, Norman Davis, and his mentor, Archie Savage. His training with these legendary dancers has informed his teaching style and choreography. Mr. Savage began his professional dance career with the Katherine Dunham Dance Company. He moved to Chicago where he danced in several companies including Joel Hall Dance Company, Ruth Page Ballet Chicago, and Lyric Opera, as well as touring productions of "Music Man" and "A Chorus Line". In Chicago he trained with acclaimed ballet instructor Larry Long, a well as Delores Lipinski, Warren Conover, and Homer Bryant. Mr. Savage came to California in 1989 and founded Savage Jazz Dance Company (SJDC) in 1992. Since then, he has produced a career’s worth of exceptional dances that respond to, spring from, and are inspired by the intentions, energy, and rich cultural heritage of jazz music. In 2003, Mr. Savage joined Oakland School for the Arts (OSA) as the Department Chair of OSA's School of Dance. Since 2004, The Company has been working with OSA School of Dance students, acting in a mentorship capacity and creating tangible, inspirational, professional connections for students of the arts. The OSA students study with Savage Jazz Dance Artists in class, then learn and rehearse SJDC repertory, learning from and working directly with SJDC's Dance Artists. Select OSA students are invited to apprentice with The Company and eventually perform in the Bay Area and on tour.